Original Aurora Renewal has a Tool Lending Program that is available to Original Aurora residents from 8 a.m. to 5 p.m. Monday through Friday during the months of April through October each year. Residents can borrow up to five garden tools for a period of seven days at no charge. Electric or gas driven tools are not available. 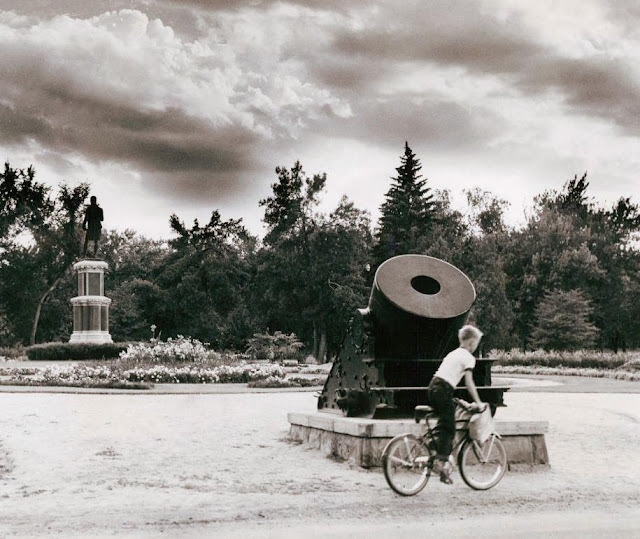 Tools are available to all residents of Original Aurora. The program is free but late fees will be assessed for tools not returned on time. A maximum of five tools per household may be checked out at a time. Items available for checkout include: dandelion pickers, axes, dust pans, edgers, levers, lawn mowers, pruners, rakes, shovels, tree trimmers and hand tools like goggles, hand trimmers, measuring tape, needle nose pliers, pruning saws, sand paper, seed spreaders, vice grips and wrenches. 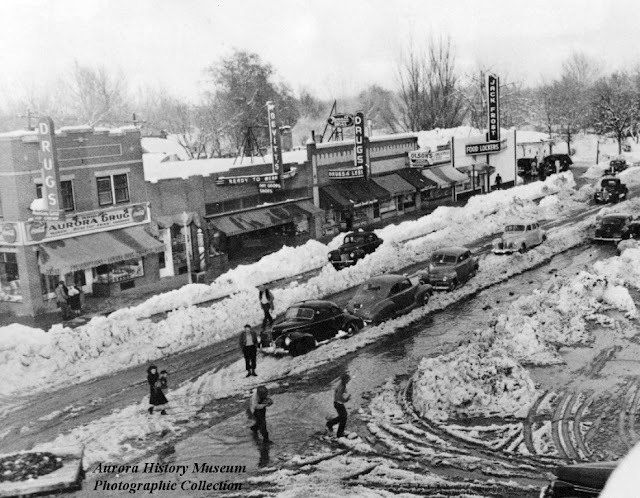 The Original Aurora Renewal Office is located in the Martin Luther King, Jr. Library/Municipal Services Center, 9898 E. Colfax Ave. 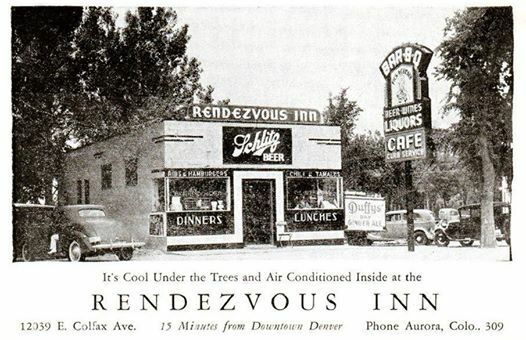 Original Aurora is bordered by Yosemite Street on the west, Interstate 225 on the east, Sixth Avenue on the south and East 25th Avenue on the north. 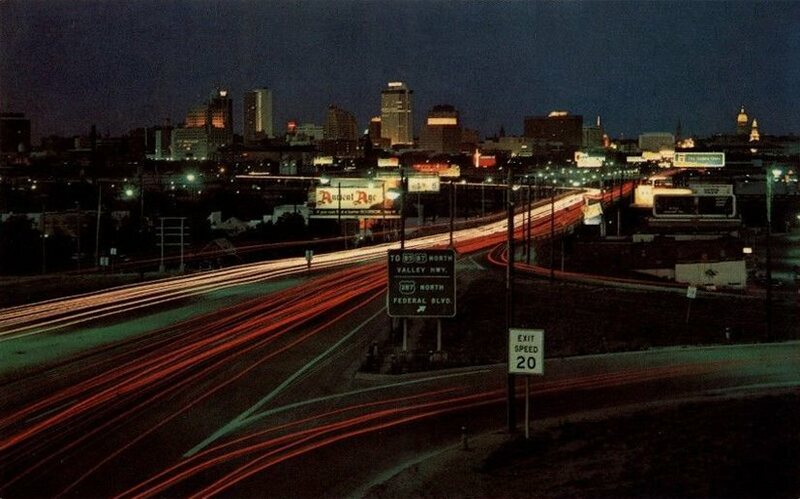 Postcard of Colfax Avenue in the 1960's. 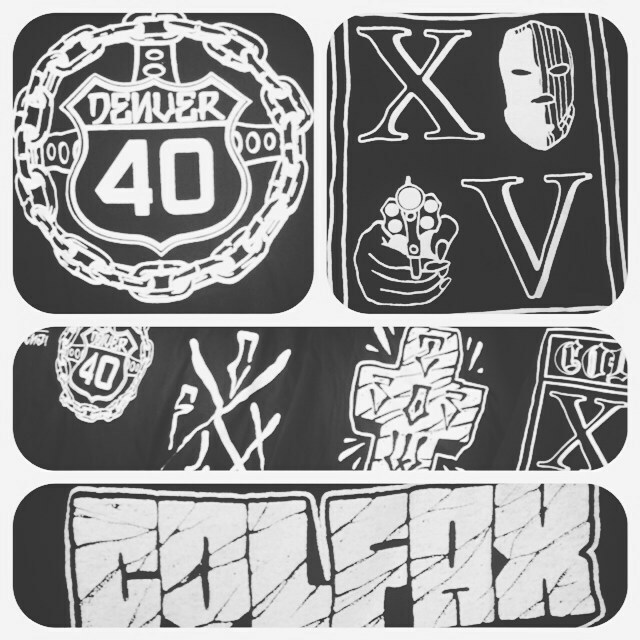 Thick as Thieves Tattoo - 4610 E Colfax Avenue. is a movie and a feeling about the heart and soul of Denver. See the movie, share the feeling. 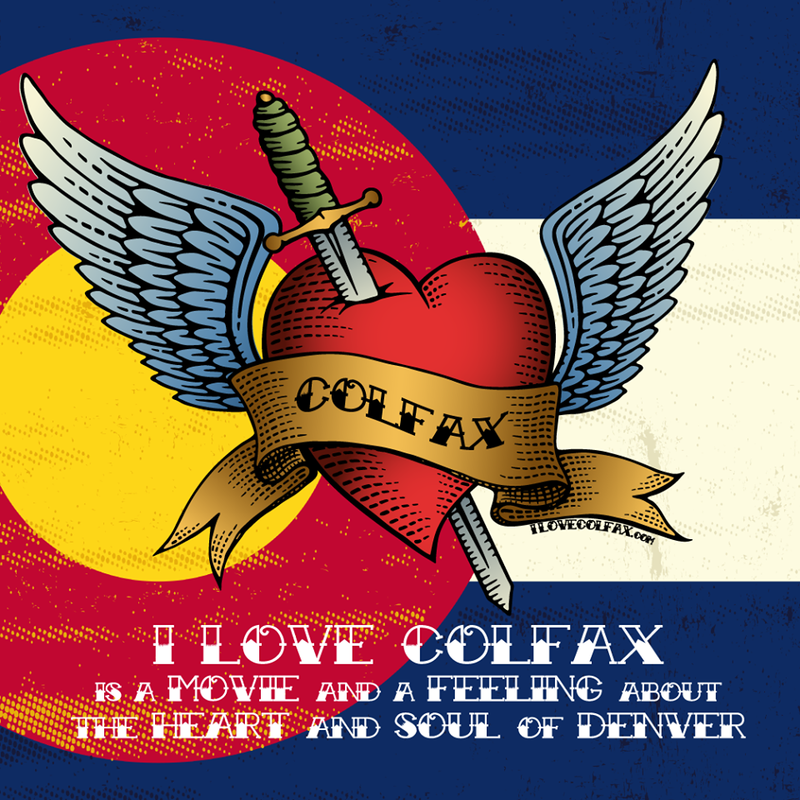 Colfax Avenue has its own distinct culture, with people and places we love to visit in the heart of Denver, where they do things the Colfax Way. Its reputation as "the longest, wickedest street in America" stuck because there was truth to it. Still today, there are stretches of serious socio-economic challenge, one of which is providing services for a healthy life to the many homeless children there, and the Colfax Community Network exists to service this need. 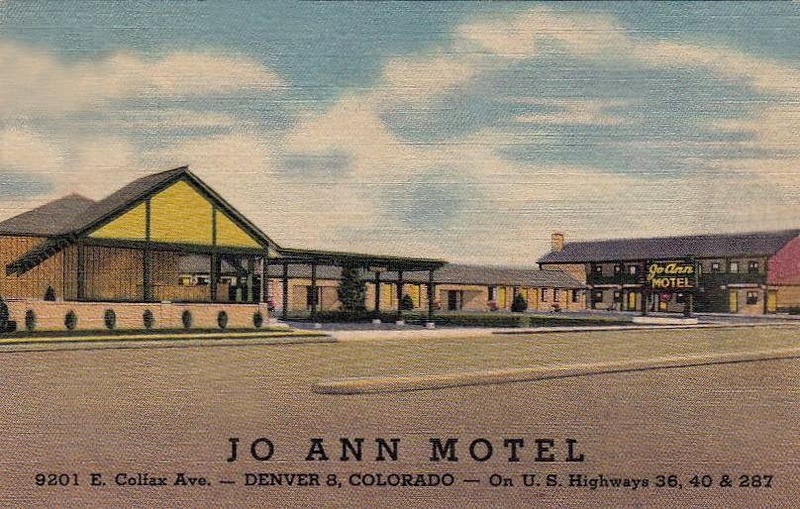 The I Love Colfax project wants to take viewers inside Colfax culture and build support for the Colfax Community Network’s efforts to support the transient motel population along Colorado's roughest stretch of Colfax Avenue. 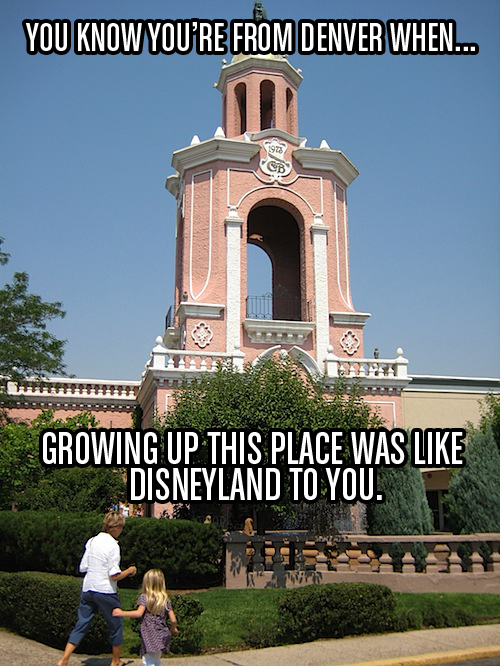 Come along for the ride, we think you'll love Colfax, too. Please join us for a lively discussion with Congressman Mike Coffman regarding the controversial Department of Veteran's Affairs (VA) Hospital in Aurora, Colorado. 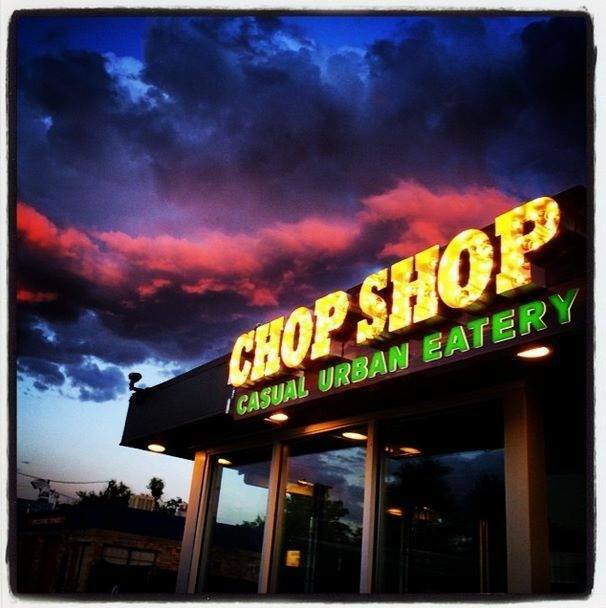 This meeting is a collaboration between the South Metro Denver Chamber's Business Leaders for Responsible Government and the Littleton Business Coalition. 7: 35 am – 7:46 The Business Side of the Affordable Care Act - Jason Dunkel, Director of Business Development at Littleton Adventist Hospital. Jason will provide insight into the implementation of the Affordable Care Act at Littleton Adventist Hospital, and its general impact on the the hospital as a business. 7:47-7:50 Introduction of Rep. Coffman - Jeri Kay Lockwood, JKL Insurance & Employee Benefits, LLC. 7:50-8:20 The VA Hospital and Legislative Update by Congressman Mike Coffman. Congressman Coffman will address the issues surrounding the VA Hospital in Colorado and other matters of interest. Congressman Coffman Bio: In 1994, Coffman was elected to the State Senate where he served as the chairman of the Senate Finance Committee. In 1998, Coffman was elected to the office of State Treasurer and re-elected in 2002. In 2006, Coffman came home after completing a full tour of duty in Iraq and was appointed by Governor Bill Owens to serve out the remainder of his term as the State Treasurer. In that same year, he ran and was elected to the Office of Secretary of State and served in that capacity until he was elected to the U.S. House of Representatives in 2008. Damian “Jr. 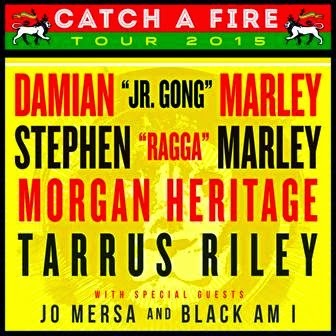 Gong” Marley and Stephen “Ragga” Marley have announced the Catch A Fire Tour 2015. With Morgan Heritage and Tarrus Riley rounding out the line-up, the run of dates will kick off in celebration of what would have been Bob Marley’s 70th birthday year in Philadelphia on August 29 and will run through September. The youngest son of Reggae legend Bob Marley, Damian “Jr. Gong” Marley garnered his own place in music history when he became the first ever Reggae artist to win a GRAMMY outside of the Reggae category, taking home an award for Best Urban/Alternative performance for his title single, “Welcome To Jamrock.” The acclaimed 2005 breakthrough disc Welcome To Jamrock, also won a GRAMMY for Best Reggae Album. Marley has been shaking up stages all over the world for the past few years, first in conjunction with his Distant Relatives project., and then when he went on to partner with Skrillex for their groundbreaking track “Make It Bun Dem”, which Rolling Stone called “a monster mash up of dubstep and dancehall.” Damian is also working with his brothers Stephen and Julian under their Ghetto Youths International Label, to discover, develop and sign gifted artistes by applying their musical talent and vast experience to create new and different styles of music. Damian is currently in the studio working on his upcoming solo album. Eight time Grammy Award winning singer/songwriter/musician/producer Stephen Marley will release his fourth solo album “Revelation Part II: The Fruit of Life,” the second installment in a two part series, following his critically acclaimed 2012 Best Reggae Album Grammy recipient “Revelation Part I: The Root of Life.” Whereas “The Root of Life” is a celebration/preservation vehicle for the powerful messages, enriching spirit and live instrumentation that is the essence of roots reggae, “The Fruit of Life” utilizes a diversified sonic palette in its expression of the far-reaching impact Jamaican music has had on various genres, especially hip-hop. Like The Root, which premiered atop the Billboard Reggae Album chart, following the Grammy Award winners “Mind Control” (2007) and “Mind Control Acoustic” (2009), making three consecutive number one Reggae tally debuts for Stephen, “The Fruit of Life” will be released on the Marley family’s label Ghetto Youths International. Having fully recharged their momentous journey in the past year and a half, and having unquestionably established themselves as the premiere live group on the reggae circuit, Morgan Heritage is now on another phase of their indomitable mission. The Royal Family of Reggae has taken the impressively significant step forward by releasing their upcoming album, Strictly Roots. According to Gramps, “Strictly Roots, our 10th studio album is particularly significant. It represents our first album released independent of VP Records, on our very own label CTBC Music Group. VP has been great for the group and we're grateful for our years with them. We just felt it was time to approach the release of our music differently." Possessing that unmistakably authentic Morgan Heritage organic roots sound with an expansively eclectic mix that takes it seamlessly into hybrid valleys and mountains, Strictly Roots interestingly pays homage to the elders, while ironically, also blazes the trail towards the exciting future of roots. Tarrus Riley is among the leading ambassadors of modern day Reggae Music from Jamaica. The singer’s commanding vocals, intuitive lyrics and vibrant personality have combined to create a formidable artiste with authentic credentials in Reggae music. His rising catalogue has been described as ‘healing’ music, and has brought adoration and acclaim from leading music luminaries from across the globe. His fifth studio gem, Love Situation, was released with huge anticipation in February 2014, and it debuted at number one on the Billboard Reggae Album chart and I Tunes Chart. The 17-track album again features a powerhouse behind the production that has produced consistently admirable work over the decades. Tarrus Riley considers himself as a voice of the people, and has set himself apart as someone who sings for the people. He defines himself as one who makes thought-provoking music about Black consciousness and experiences with the intention to open people’s minds and let them think. Tickets are $40.50 GA ADV and $45.00 GA DOS plus applicable service charges. 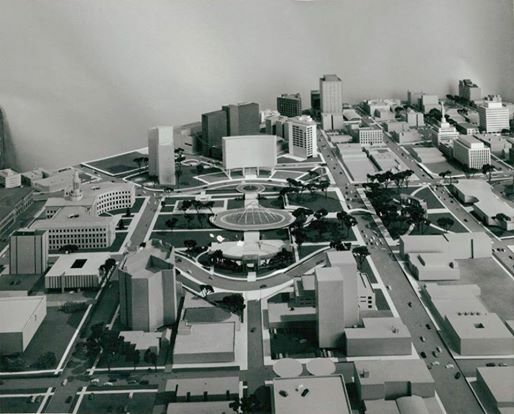 A very futuristic looking Civic Center Park proposed design, 1967. 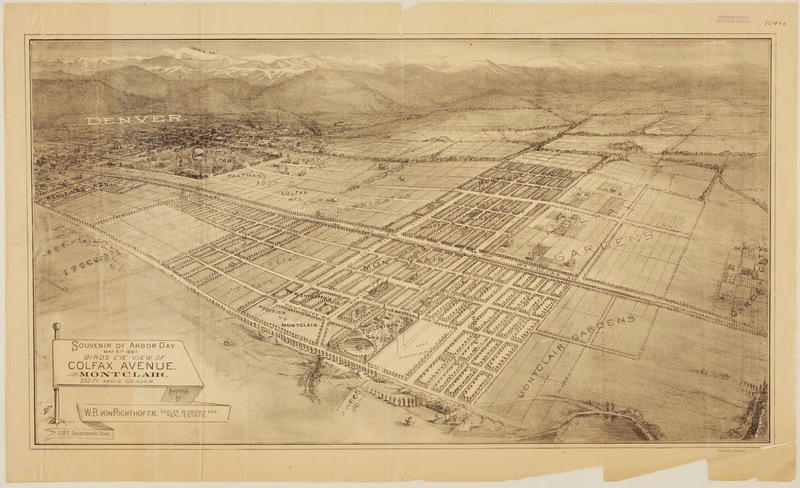 This lithographic souvenir of Arbor Day in 1887 shows a bird's eye view of Colfax Avenue from Montclair 350 feet above Denver, Colorado. 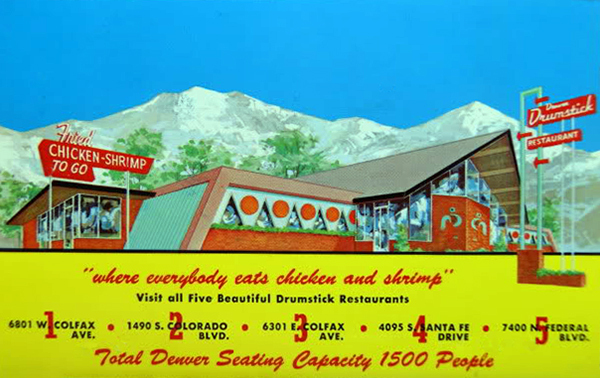 Real estate dealer W. B. von Richthofen presented the souvenir which was printed by the Denver Lithograph Company. The map identifies Long's Peak and many sections of the city including City Park, Rohling's Addition, Hartman's Addition, Bellevue, Park Hill, Colfax Heights, Downington, Colfax Terrace, Von Richthofen's, addition to Montclair, the Zoological Gardens, Kensington, Montclair Gardens, Colfax Gardens, Hayden Dickinson's Subdivision, Montrose, and Garden City. 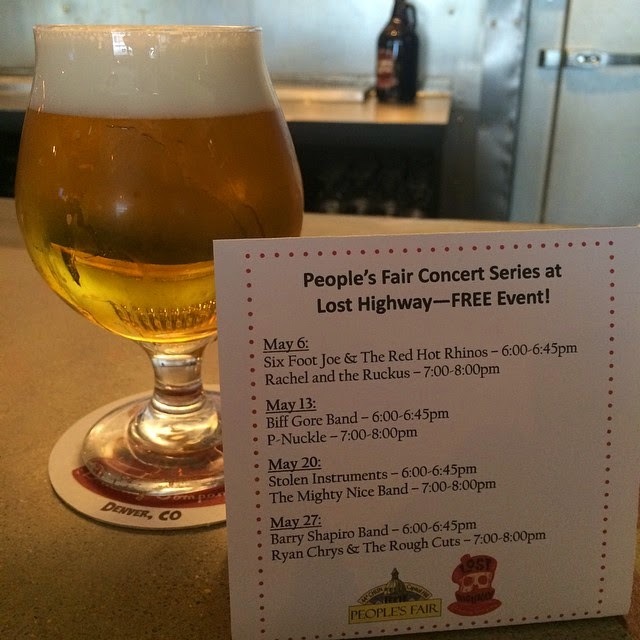 Beginning this Wednesday - the People's Fair Concert Series at @losthighwaybrewing - free events every Wednesday in May from 6-8pm! 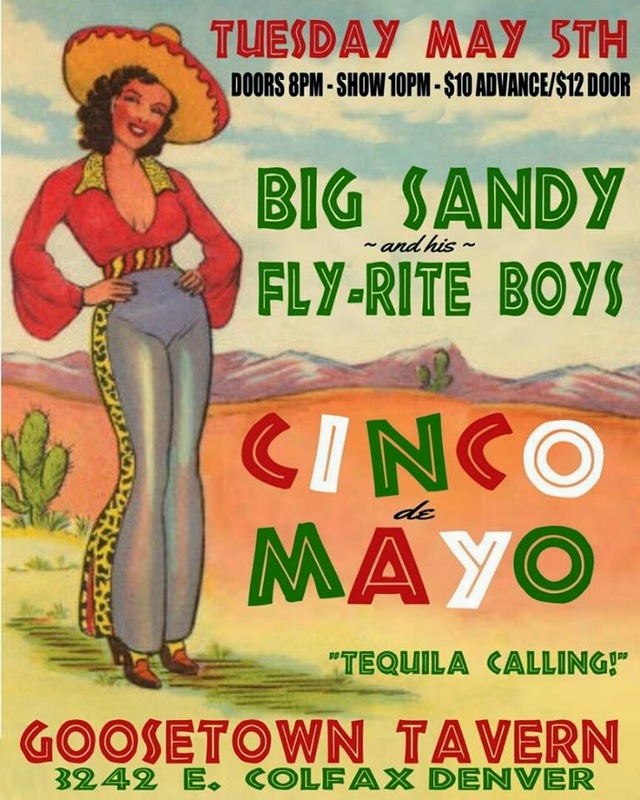 520 E. Colfax Ave.
Cinco de Mayo with Big Sandy and his Fly-Rite Boys! 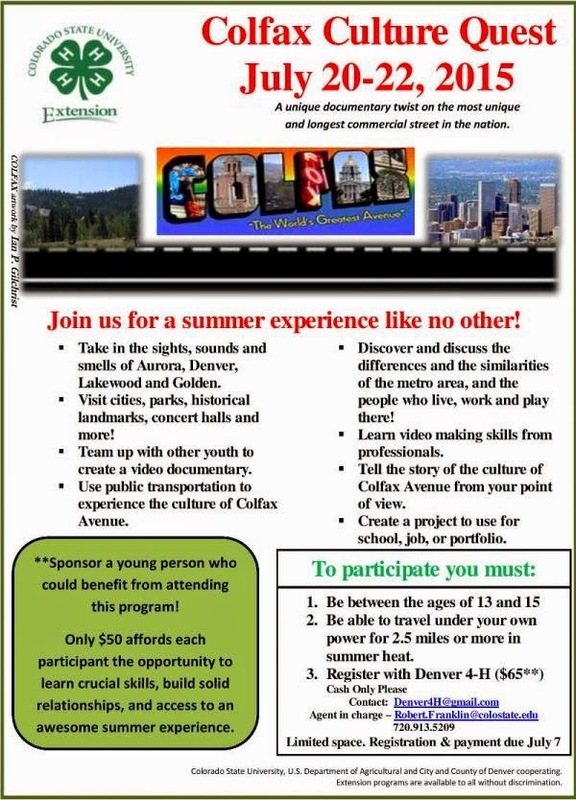 Please contact Denver4H@gmail.com to help support the program, or sign up a youth participant. We are anxious to see what the kids can come up with! !